Protect your piercings with every pair of earrings you wear. Undoubtedly, you’re familiar with plastic disc backs for earrings. Some think they are discardable and do just that–toss them. But before you get rid of these types of backings, realize there are quite a few benefits to wearing them, including protecting you from the dreaded ear lobe droop. They’re easy to grasp and hold while putting on your earrings. This helps the busy woman who doesn’t want to futz with her accessories every day. They support your earrings and keep them positioned correctly. If you’ve worn earrings most of your life, your piercings probably need a little support and protection. Plastic disc backs not only keep your earrings in an exact place but also protect your lobes from the weight of the earring by distributing the weight correctly. They keep your earrings safe. Plastic backs keep your earrings extra secure–more secure than traditional metal backings. If you’re wearing a pair of earrings that are dear to you, then plastic backs are the way to go. Yes, there are some cons to plastic disc backs. Some are sensitive to plastic so these types of backings would not be a good fit for those with this tendency. Also, if you’re wearing small stud earrings, there’s a chance you can see the plastic backings when you wear them–not a good look! The takeaway? Choose your earrings and their backings carefully. 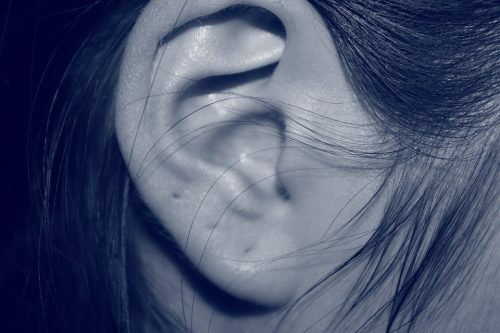 The beauty of your ear lobe depends on it!